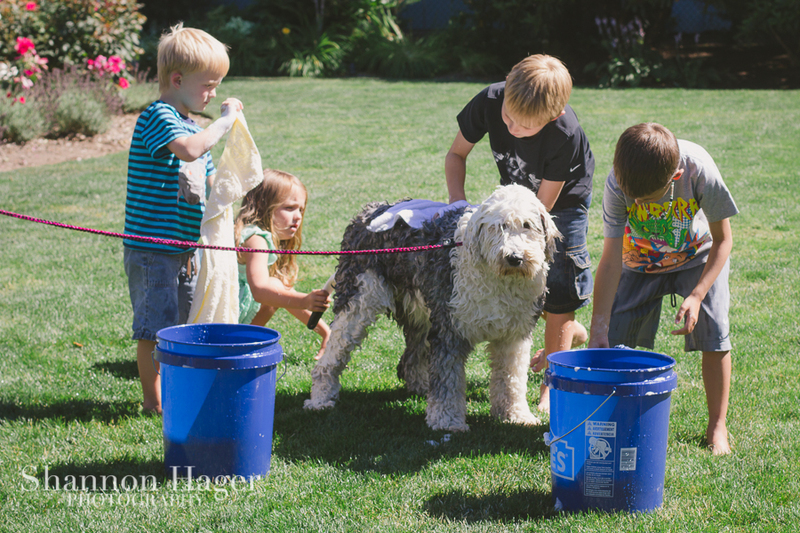 The kids were so excited to give Maureene a bath outside. 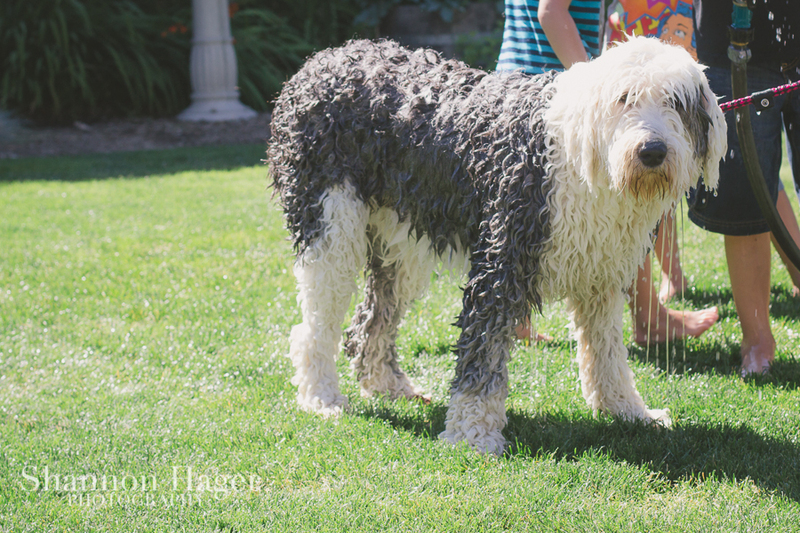 Maureene just loved having 4 kids rubbing her and washing her all over. 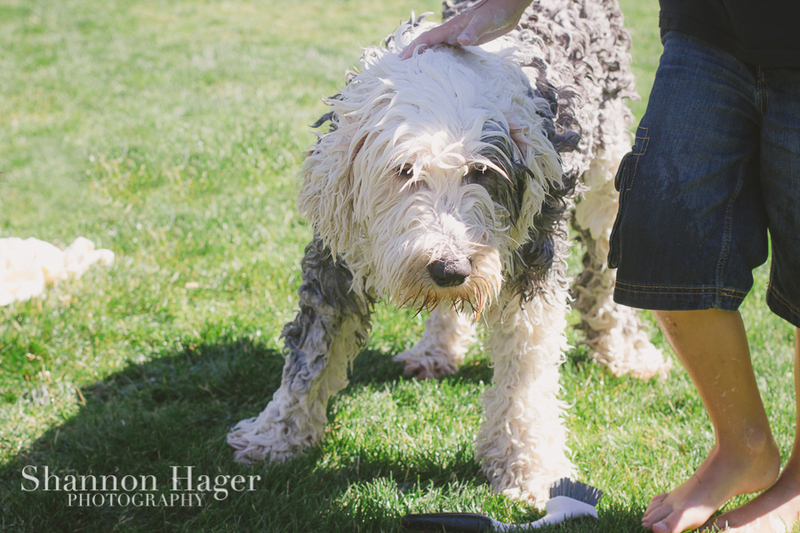 The best part was getting soaked when she shook off. 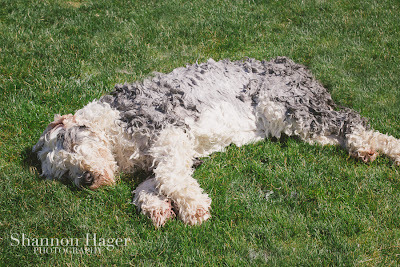 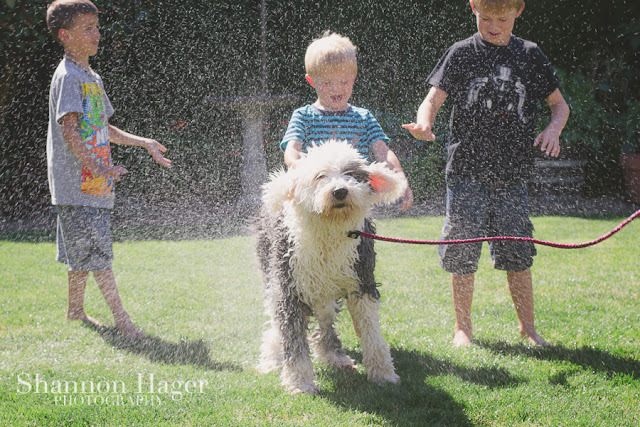 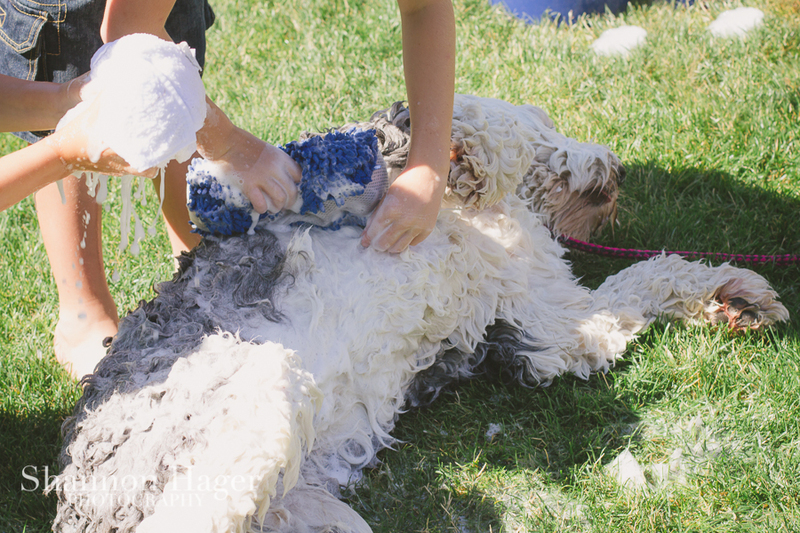 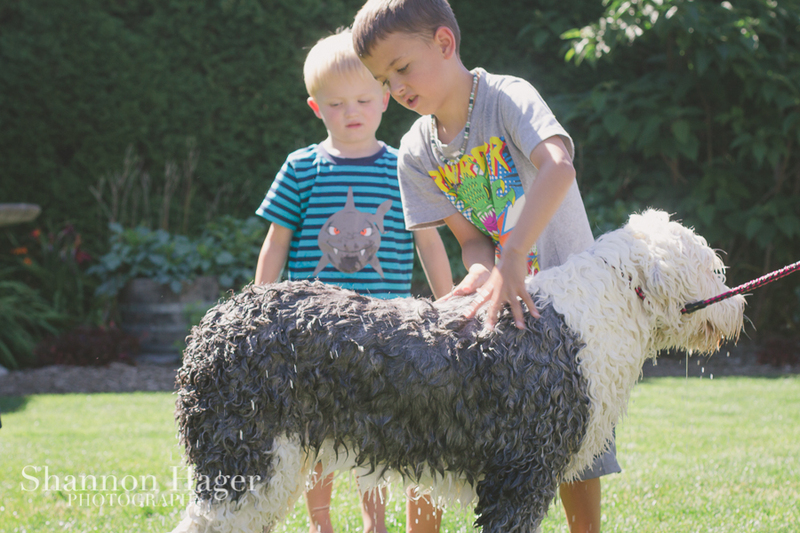 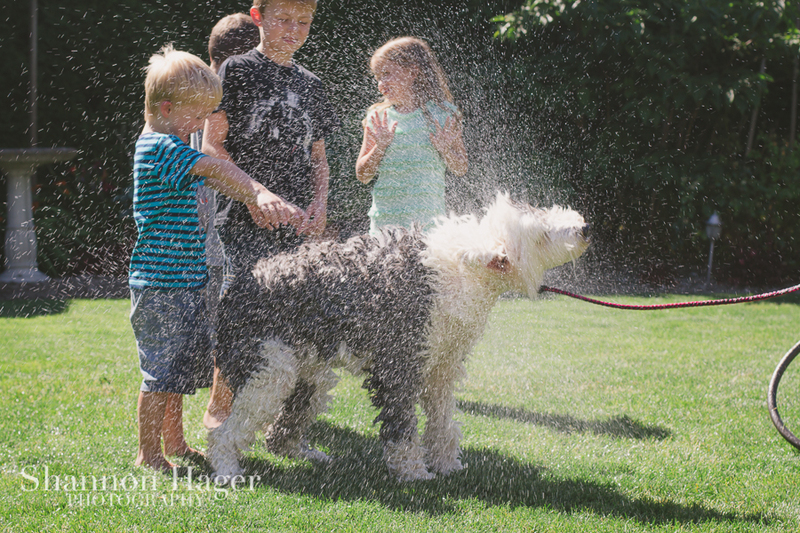 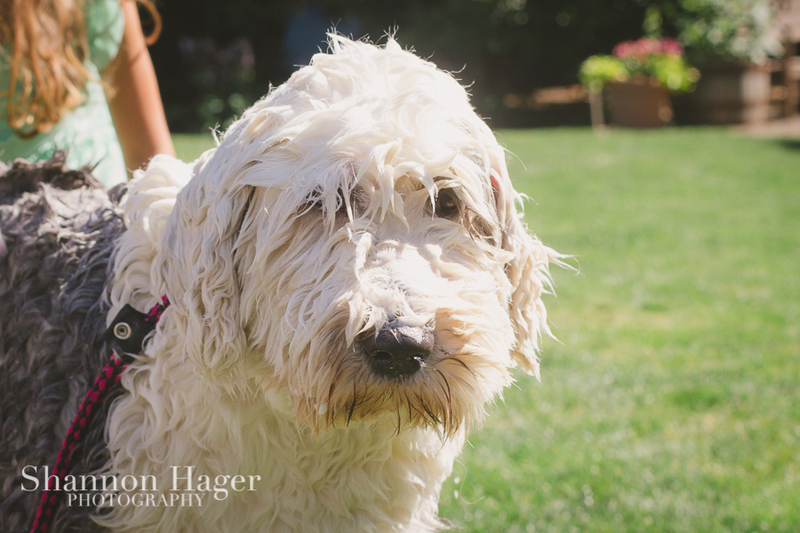 The kids decided that need to start an Old English Sheepdog Dog Wash business. 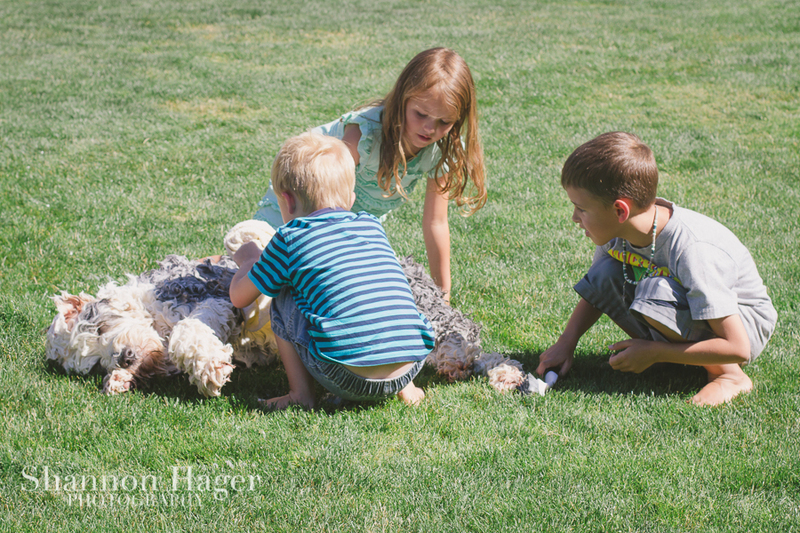 Oregon Coast 2013- We Found our Cows!